With diabetes and obesity approaching epidemic levels, many Americans are looking for concrete ways to reduce their weight and improve their health. Weight-loss surgery, now considered an effective treatment for diabetes, may be an option! 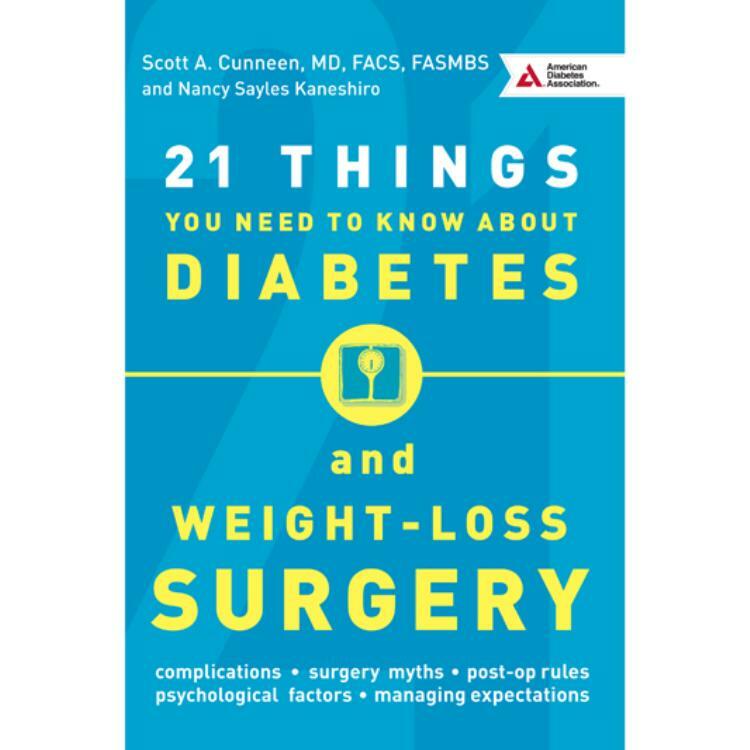 21 Things You Need to Know about Diabetes and Weight-Loss Surgery offers straightforward information about the top metabolic surgeries performed today—the gastric bypass, sleeve gastrectomy, and adjustable gastric band. 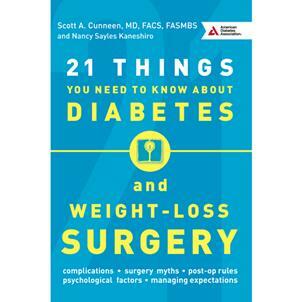 With its reader-friendly tone and format, this book is an invaluable resource for anyone with diabetes who is considering weight-loss surgery to improve their glycemi control and overall health.